There isn’t much to smile about in the Maldives, with a state of emergency hanging over it, but a travel advisory from Russia raised a chuckle. “We strongly recommend those people who cannot postpone their trips to this destination to go straight to resorts from the airport, without driving into Malé, and exercise maximum caution,” it said. Dear Russia, one does not simply drive into Malé. It is an island and currently only accessible by ferry. There is the US$200 million China-Maldives Friendship Bridge that will link the airport to the capital, but it remains under construction. Tourists can always go straight to their resorts without ever setting foot in the capital. Furthermore, the capital has no resorts. That said, and given the warnings to stay away, the Maldives Independent has prepared a guide to the city for those steering clear of it because of the state of emergency. 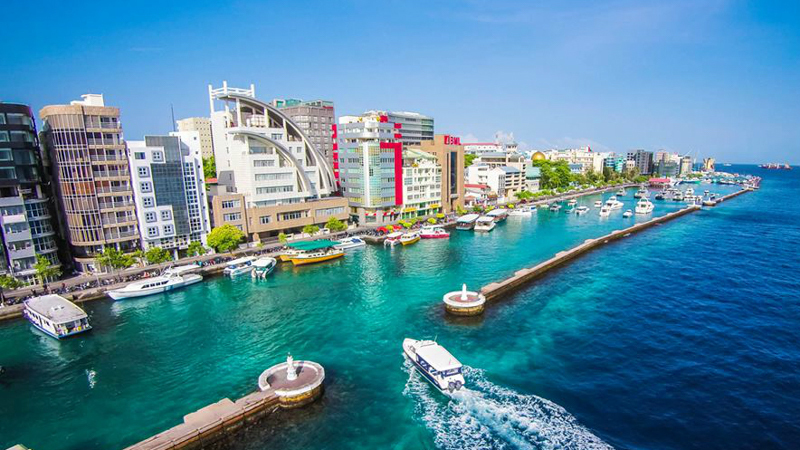 It is believed Malé got its name because it was where fishermen stopped to gut fish and there was always blood at the harbour. Maa means more and ley means blood in Dhivehi. Even though the capital is an island – and the Maldives is world famous for its palm-fringed shores – Malé’s beaches are artificial. Its original beaches were destroyed through reclamation work, with almost half of the capital made up of reclaimed land. 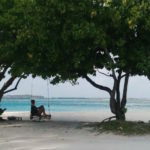 Rasfannu, one of the artificial beaches, has been controversial over warnings a pipe was dumping untreated sewage in the area. Traces of British influence on architecture can still be found in Malé’s old buildings. The “atoll stores” near the local market constructed by Ibrahim Nasir in 1957 and the souvenir stores in Chaandhanee Magu are examples of British ‘shop-house’ style architecture. The capital has a mosque, built from interlocking coral stone blocks, that can house up to 21 worshippers. The Kalhuvakaru mosque was built in 1789 during the reign of Sultan Hassan Nooradeen Iskandhar. It stands on a coral foundation carved with intricate designs and is held up by wooden beams engraved with Arabic calligraphy. It can be dismantled and is known as the “travelling mosque” because of its history of relocation. The Malé Friday Mosque, built in 1658, is on UNESCO’s Tentative World Heritage List and is described as “the most important heritage sites of the country” and “one of the finest coral stone buildings in the world.” It is not to be confused with the golden-domed Grand Friday Mosque. A typical Maldivian breakfast is mashuni and roshi. Mashuni is grated coconut mixed with dried tuna, chilli, onion and lime juice. Roshi is like a very thin crepe. This morning meal is a party in your mouth and you can find it across the city, although the eateries in the carnival area are popular. A portion of mashuni and roshi with black tea costs around MVR 50 (US$3.25). It has sometimes been said there are two drugs of choice in the Maldives: one is heroin and the other is coffee. We cannot speak to the former but we can confirm there are cafes everywhere in the capital, with passable brews available even in the dingiest of canteens. For something fancy Meraki, the country’s first commercial coffee roaster, offers a black coffee from MVR 90 ($5.84). 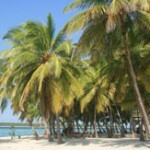 Jumhooree Maidan, also known as Republic Square, is a small park by the northern harbour. It is a popular place to hang out and has sea views. 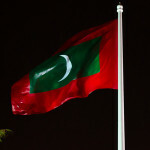 It is also the spot where the Maldives first president, Amin Didi, was mobbed and deposed. He later died from his injuries. Malé is barely one metre above sea level and, despite its size, almost 40 percent of the country’s population live there. It is protected by a US$60 million concrete sea wall that was built with Japanese funds after tidal swells inundated the city in 1988. The sea wall stopped a part of the city from being flattened in the 2004 Indian Ocean Tsunami. Sultan Park, so-called because it is on the former grounds of the royal palace that housed the Maldives rulers for centuries, was revamped and renamed Rasrani Bageecha last year. It drew attention for its fountain and glass tree-house, but also for charging migrant expat workers MVR75 (US$5) on weekdays and MVR100 (US$7) on weekends to enter. There is no admission fee for Maldivians.